How I Trick My Husband Into Thinking I Cleaned (when I didn’t). My husband will call and tell me he’s on the way home from work. I look around the house and it’s a disaster. There are a few things I do around the house that make the house look clean even though I didn’t get a chance to REALLY clean. Change the table cloth. I keep a table cloth on our table so the kids won’t damage the wood. It only takes one meal to get messy but I like to leave it on for a day or 2. Just changing this makes the entire area look clean. Now there are no crumbs or spaghetti stains from last night. Make the bed. When your bed is made your room looks clean. You don’t even have to do anything else. It will already look better. Go through the mail. The mail at our house can pile up very fast. If I miss a day I feel like it is all over the house. Just going through it everyday will keep that clutter off the desk or counters. Clean out the kitchen sink. It is so easy to let the dishes pile up when you are busy. I just throw everything in the dishwasher and wash the pots and pans. Once it’s empty, rinse out the bottom and run the disposal. Remove junk from the counter. It takes about 2 minutes to do this at my house. There always seems to be sunglasses, hats, pencils, homework, and snacks laying all over. Getting that put away does not take long and makes a HUGE difference. Below is a picture of my kitchen counter. It is right when you walk in from the garage and the first thing you see. It’s so nice to have this area clutter free when you walk in. Pick stuff off the living room floor. Just getting the little toys off the floor can make the living room look clean. 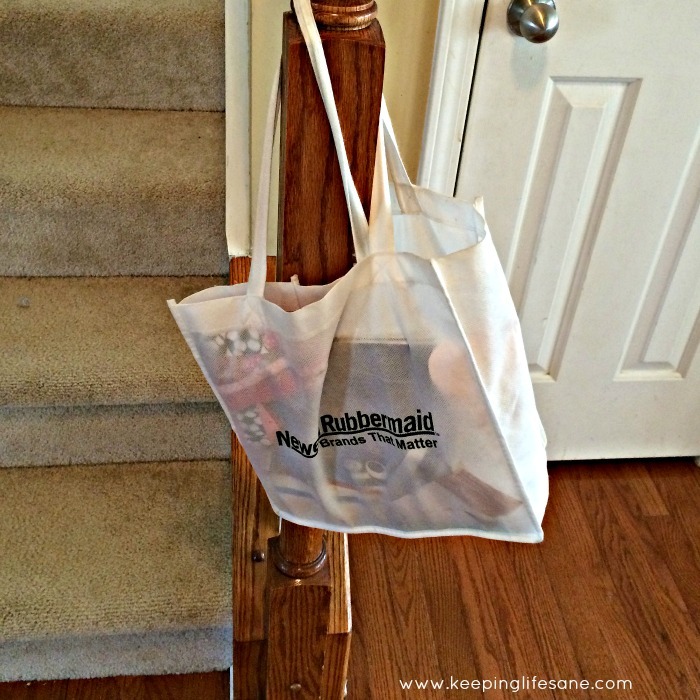 I keep a bag on my stair that I put everything that needs to go up. That way the stairs are not cluttered either and I don’t have to keep running up and down. I clean out the bag every couple of days. Bonus– If I have time I run the vacuum in the middle of the floor. (This is the vacuum I have.) Seeing the lines from the vacuum cleaner make you think CLEAN! 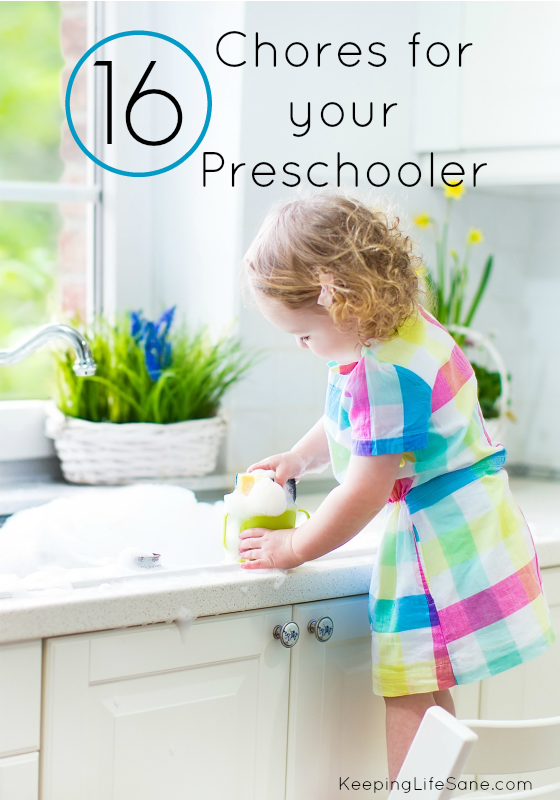 Chores your preschooler can do! Lol! I do this too! Mad dash through the house 5 minutes before he gets home. I did actually clean today too! I love these tips! I’m also a quick cleaner when time is short. Running the vacuum for sure! So many times I get a “the house looks nice” when all I did was vacuum the hardwoods and carpet downstairs! haha! I can see Phil saying that! I hope he doesn’t read this and know how you’ve been fooling him. LOL! Ha ha! Those are really cool! A few of them I too try to do! My home too gets really messy with my little boy!!! But then it would be a little refreshing for hubby to come home to a relatively cleaner room!!! If you actually do these couple of things each day when you should, you’re not running around crazy at the last minute. Make your bed when you get up. Clean the sink out after each meal. Throw out your junk mail before toy set it down. Then you have time to do stuff that really matters. And yes. I work full-time and have kids and this is possible. I try but sometimes the day just gets away from me. 🙂 The mail is the thing at my house. I feel like it’s everywhere! I think it is easier said than done when everyone is home all day. When you work outside the home, your kids are also outside the home… it’s easier to keep the house up when no one is home all day to mess it up, eating, drinking and playing. As a stay at home Mom of 3 kids, I know how crazy it is and how the day gets away from you… one tip I have for quick clean up is sweeping everything into a pile and have the kids separate everything and put it away… I set a timer and any toys left on the ground go up in my closet for a few weeks… works every time…the pile of toys disappears quickly. Power to you momma. I am glad you have a system that works for you and your family situation. It sounds very logical and easy. But sometimes I find with a 1.5 and 3 year old it isn’t so black and white. But maybe I just have a more chaotic personality. Either way, I feel like I relate to the author’s post. Your comment makes me feel like I should feel guilty for having a less than perfect house. That said, my husband can’t tell me anything about a messy house. What was I doing all day? Keeping the kids alive and while teaching them some life skills. LOL I don’t have to do this right now because my husband is deployed but I am definitely pinning this so I can use it later! I post my cleaning projects on my blog so that when he complains that I spend too much time on my blog, I can shoot him a link like a boss. This is great!! 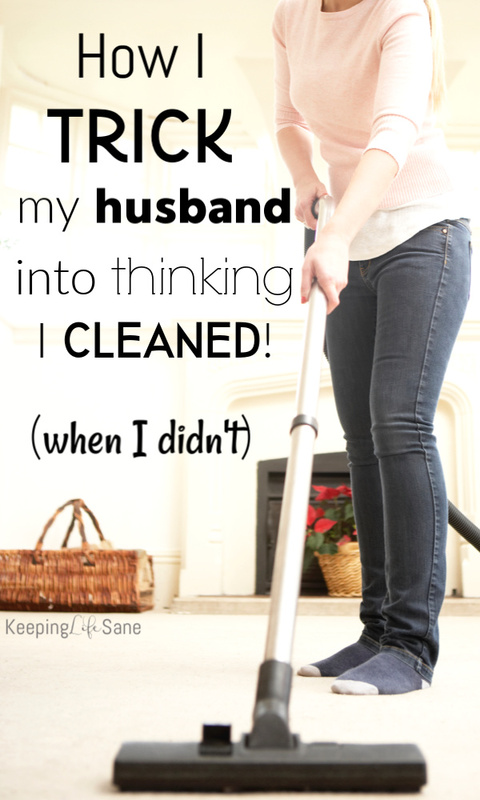 I am definitely guilty of running around crazy right before hubby gets home. Thanks for sharing! My best trick past down from my Grandmother is to through a little butter and garlic in a fry pan. Sauté it for a couple minutes and let it flow through the whole house. Smells like you’ve been home hours cooking. My Grandfather never got wise til one day Grandmother left her little hat and hat pin on her head. Let’s face it though like I exile explain to him my job/cleaning is around the clock. We own our own business and he works very hard and I’m lucky enough to stay home with my children, but as a stay at home mom I clean all day from the time I get up to the time I go to bed. And from his mouth, he knows he’d hate to work doing the same thing EVERY single day 7 days a week, so he always insists that I skip a day or even two of cleaning because he knows how hard it is to keep a perfect looking home with 6 children. We stay at home mom’s so work hard, and deserve a break every now and then!!!! It seems like every time I take the time to really clean, it get’s dirtier faster. As soon as I mop, someone spills a glass of milk! One of my favorites is having a landing space for items that will be leaving the room near the door of that room. So when I’m in a room or spot cleaning, I put all the departing items together there. That way I stay on task with whatever I’m doing in a room, then pick up all the departures as I leave. That’s hilarious. I too do this. Also, I took a wet wipe (Clorox, one) and wipe the counter. My kitchen is done. I guess my only question about your post is what is your definition of clean? Are you talking full on dust, sweep, mop, vacuum, laundry and dishes, no speck of dust? Because exactly what you explained is how I clean all the time. Sure I will do deep cleaning now and then, but this is my day to day cleaning. 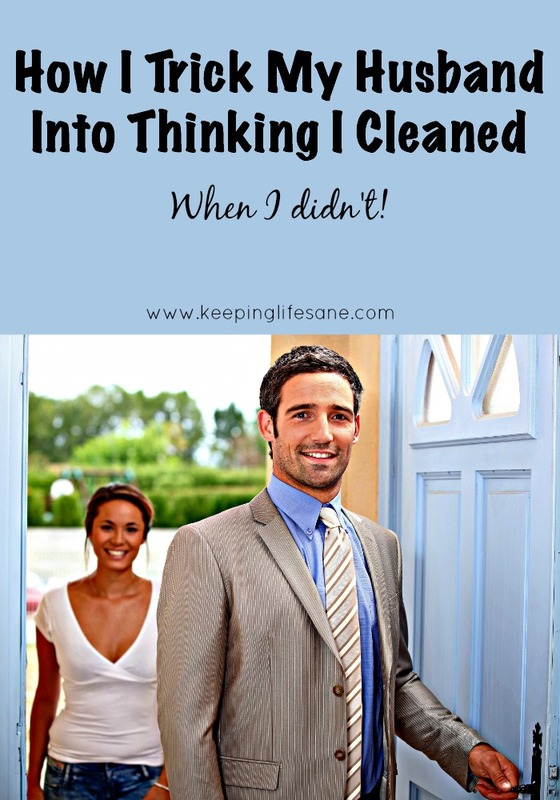 Yes, to me cleaning is mopping the floor, disinfecting the counters, scrubbing the toilets and bathtubs, dusting and wiping finger prints off the glass doors, all that fun stuff. 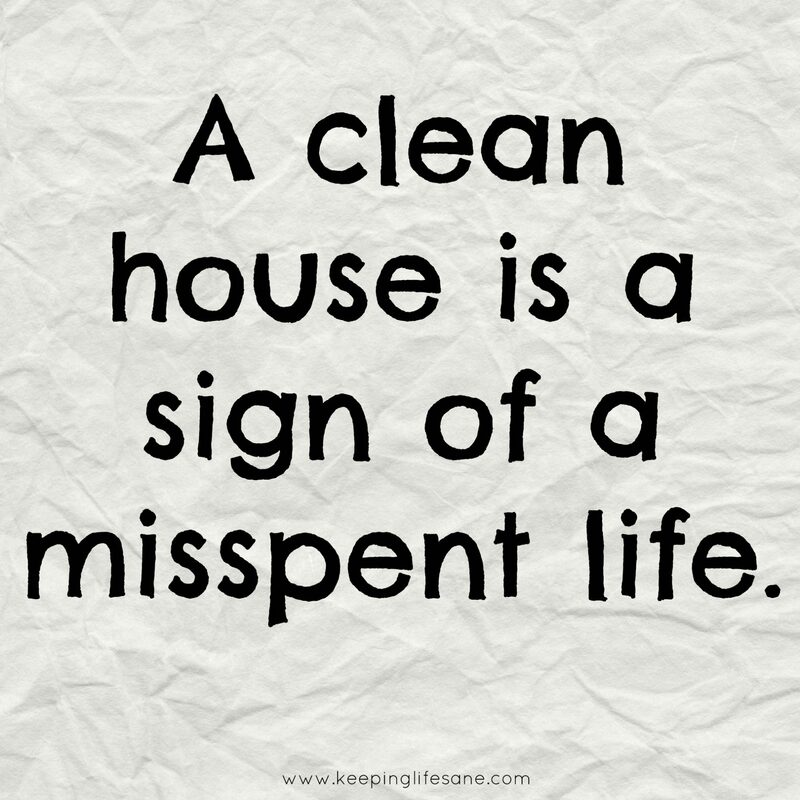 Sometimes my house needs a good cleaning but what I listed in the post are things I do that take about 10 minutes, but make the house look good without having to do major stuff. The sink being clean makes the biggest difference in my kitchen. I love your ideas! Thanks for linking up to the Bloggers Brags Pinterest Party. I have pinned your post to the Bloggers Brags Pinterest Board. Great tips! 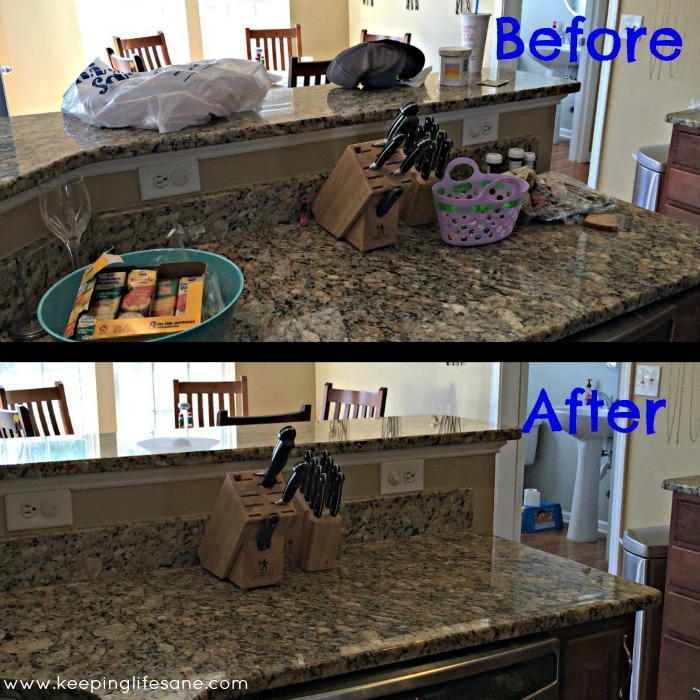 I am fascinated at how cleaning off my counters gives the illusion that the whole kitchen and dining room are clean! I always try to do a daily pick up basic cleaning, but some days that just doesn’t happen. Because sometimes life happens, whether it be a sick child whose wanting to snuggle to an unexpected call from a friend to get the kids together. I like the tip about the bag on the stairs. I think I’ll implement that! I love these ideas! This one comes straight from my momma- wipe down the front door (or just the door frame!) with some highly scented cleaner, it smells so clean when you walk through the door! I worked full time with 2 kids in a factory! Everyone helped to keep the house clean! Make bed when you get up ! Wash dishes every meal or put in dish washer! I set on day aside for scrubbing vacuuming cleaning bathrooms laundering bedding other laundry was done on other days hung on line! My son played sports uniforms were washed at night after games to be ready sometimes for the next day. Sometimes I worked 60 hrs. Per week 10 hrs. Per day. I had flowers to take care of, lawn to help mow! Firewood to help make too! People now do not know the meaning of hard work! Oh by the way my kids were read to and played with homework was done, things were talked about ,hugs and kisses too! What year is this and what kind of men did you marry?! 😳 I am a SAHMom, not a SAHMaid. My husband and I work as a team. Next story Are you breaking one of your OWN rules?